I had the good fortune to be supervised by Professor Paul Young (Head of School. School of Chemistry and Molecular Biosciences) who has been as supportive of my employability as he is interested in my contribution to research. When he heard of the CDF Placement Program he sought the assistance of the Graduate School to support me in taking on this development activity. Towards the end of my PhD candidature I began to ask advice from people around me regarding potential career paths and upcoming opportunities. I was familiar with Vaxxas and genuinely interested in their work. By speaking with a postdoctoral researcher involved in nanopatch research I was able to find an opportunity for a placement with Vaxxas. As a PhD student, you may be advised that there are many alternative career paths to research/academia. However, it is difficult to know what you will actually enjoy, and it can be overwhelming trying to decide when you have little or no experience in other areas. 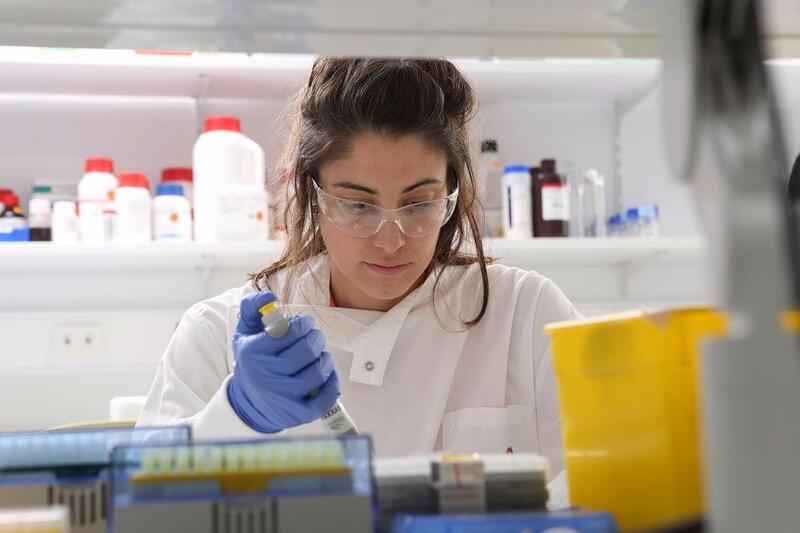 The placement has given me the opportunity to gain experience in applied, translatable research, while helping me establish the right pathway for my future. A Vaxxas industry placement set me up with a job and I am extremely grateful. My research at Vaxxas centred around characterisation and stabilisation of the inactivated poliovirus (IPV) vaccine for delivery via the nanopatch. Initially I undertook training to familiarise me with the organisation, structure and technical aspects of the role. As I progressed the focus shifted to more autonomous and team based work. As an employee now, I have been given my own tasks involving stability testing, formulation and analytical assay development for IPV. It was an invaluable experience which allowed me to develop and apply the skills and knowledge acquired throughout my PhD in a new environment. It has given me an understanding and appreciation for applied research, and what a job in this company entails. The primary difference in this workplace experience compared with my PhD research is the focus towards a common goal. While there is a diverse variety of work occurring at Vaxxas, everyone is working in alignment and collaboratively. The workplace culture is friendly, inclusive and warm and there is a great feeling of comradery. A placement is an unbelievable opportunity to get a feel for the direction you would like your career to take, and to apply the skills and knowledge you have gained during your PhD.